‘Picture Brisbane in 1875, little more than a village, without trams, electric lights, motor-cars …’ Bertha Berdoff, student (1875-1878). 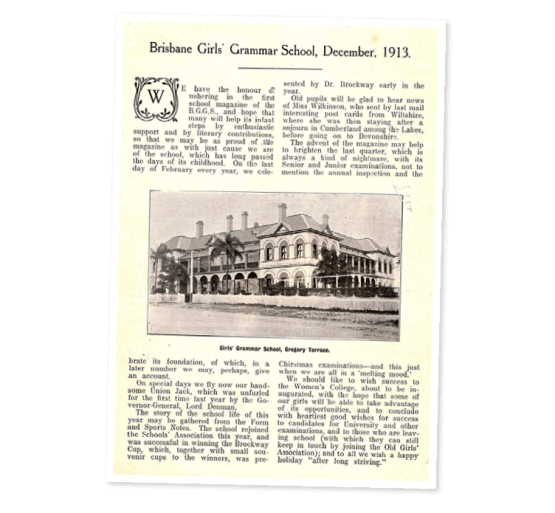 In 1875, six years before women were admitted to universities in Australia, Brisbane Girls Grammar School opened—initially as a branch of Brisbane Grammar School—to provide girls the same educational opportunities as their brothers. Sir Charles Lilley’s vision to establish a girls’ school was so far ahead of its time that it was viewed as a radical ‘experiment’. 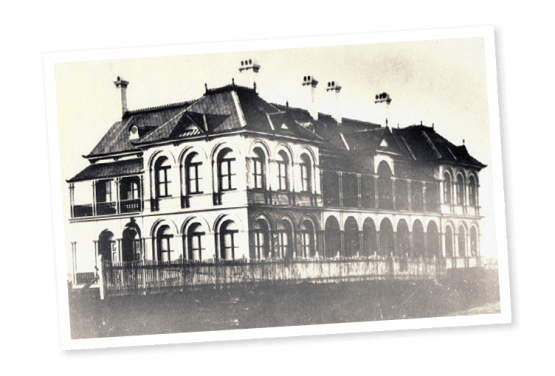 Undeterred, he fought for the foundation of Brisbane Girls Grammar School, and on 15 March 1875 the School opened in a two-storey house on George Street, catering for 50 students. Within six months, the School outgrew these premises, and relocated to Wickham Terrace. In 1882, the decision was made to separate from Brisbane Grammar School and operate independently under the Grammar Schools Act. 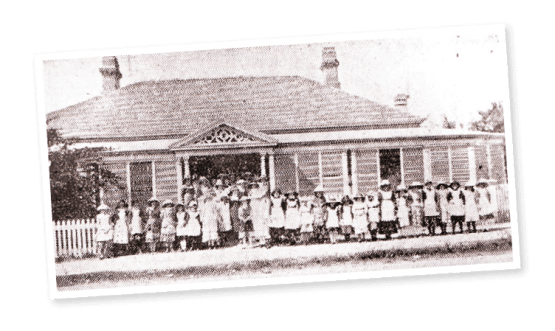 Two years later, in 1884, the School relocated to its current site on Gregory Terrace. The original Main Building still stands proudly in Spring Hill, symbolising Girls Grammar’s unique heritage, its role in the development of education for girls in Australia and its unwavering commitment to establishing the educational foundation for young women to contribute confidently to their world with wisdom, imagination and integrity. Brisbane Girls Grammar School is established in a two-storey house on George Street, under first Lady Principal, Mrs Janet O’Connor. Within six months, the School relocated to Wickham Terrace, to a house owned by the Hon John Douglas, a Brisbane Grammar School Trustee. The house, a single-story wooden building, comprised two large rooms, front and side verandahs and a rear verandah leading to a further two wings. Sir Charles Lilley is appointed Chair of the Board of Trustees; he would hold the position for 10 years. Two years later he was appointed Chief Justice, before being knighted in 1881. In 1891, Sir Charles Lilley chaired a royal commission that sought to establish a Queensland university. Sadly, he passed away in 1897, 12 years prior to The University of Queensland’s establishment in 1909. 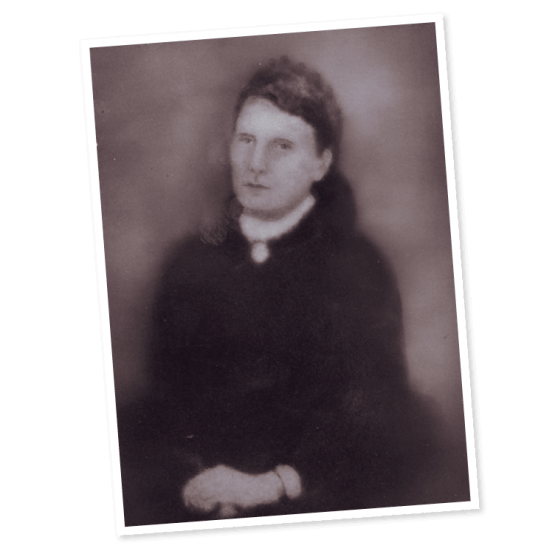 Miss Sophia Beanland was appointed Lady Principal in 1882, having been recruited from Bradford Girls Grammar School in the UK. During her time as Lady Principal, Miss Beanland witnessed and championed significant changes, including the separation from Brisbane Grammar School in 1882. This was followed by the relocation of the School in 1884 to its current premises on Gregory Terrace. Miss Beanland was convinced that girls should receive a holistic, rather than a narrow, education. To this end, a number of subjects were added to an already extensive curriculum. In 1889, Miss Beanland tendered her resignation and returned to England where she died in May 1925. Her estate was bequeathed to the School. In recognition of her selfless commitment to the education of young women, Beanland House was introduced in 1994, and a number of Speech Day prizes bear the name of Miss Beanland and her family. The medal was named in honour of his wife, Lady Sarah Lilley. 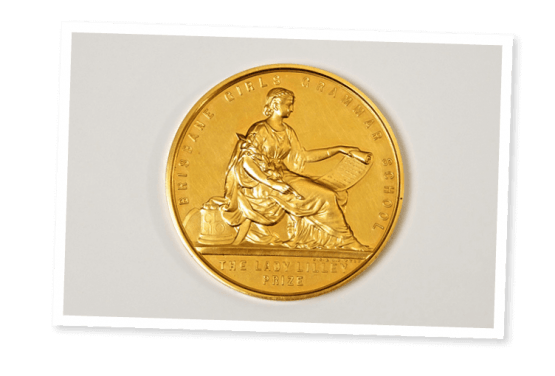 The Lady Lilley Gold Medal for Dux of the School has become the most celebrated of prizes awarded at Speech Day. In 1885, Miss Annie Mackay won the medal and returned to the School, first as a teacher and then as Lady Principal (1916–1924). After winning the prize in 1924, Professor Dorothy Hill pursued a highly successful career as a scientist and university lecturer. Ms Caitlin Goss advanced from Lady Lilley Gold Medallist (2001) to become the School’s third Rhodes Scholar in 2008. Further, two sisters who each became Dux of the School, Janet Jeays (1978) and Katharine Jeays (1982), are related to the lady after whom this prestigious prize is named—Lady Lilley. After the School gained its independence, development began on the Gregory Terrace site. The land was an extension of the boys’ school; its position provided a commanding presence with sufficient and suitable space to erect the proposed School building. On 28 February 1883, Sir Charles Lilley laid the foundation stone of what is now known as the Main Building. The Main Building, designed by prominent architect Richard Gailey, was opened in 1884 to 91 students, with accommodation for 32 boarders. This generously proportioned and gracious building remains an architectural highlight on Gregory Terrace. Sir Samuel Walker Griffith served two terms as Chair of the Board of Trustees. 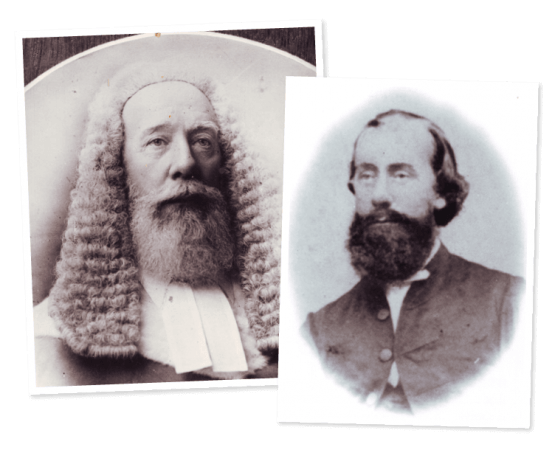 He was the state’s Chief Justice from 1893 to 1903, and also served on the Royal Commission into Education chaired by Sir Charles Lilley. In 1903, he became the first Chief Justice of the High Court of Australia. 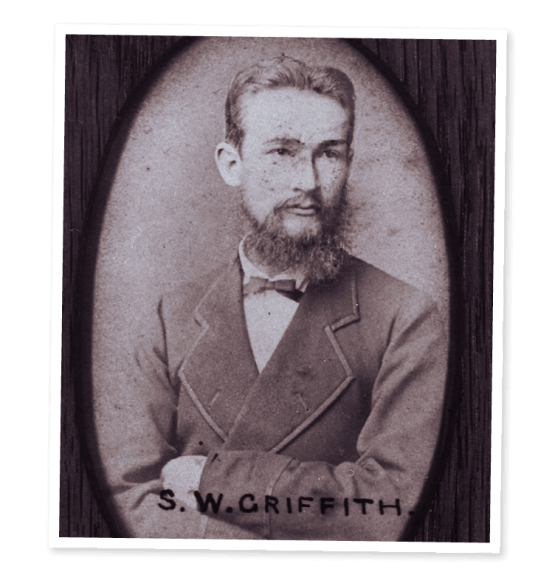 He is remembered by the School, not only by the naming of Griffith House, but also by the Sir Samuel Walker Griffith Memorial Prize which is given to the foremost Ancient History student in Year 12 on Speech Day. On 28 February 1890, the SS Quetta en route to England, was sailing off the Great Barrier Reef in Far North Queensland when the ship struck an uncharted reef. On board were many passengers and crew, including two sisters Annie and Isobel Wight, both past students of Brisbane Girls Grammar School. The resulting loss of life included the Wight sisters, who along with many other women, could not swim because of the restrictive and voluminous clothing of the time. The School community greatly mourned their loss, and to honour their memory, raised funds to strike a commemorative medal. 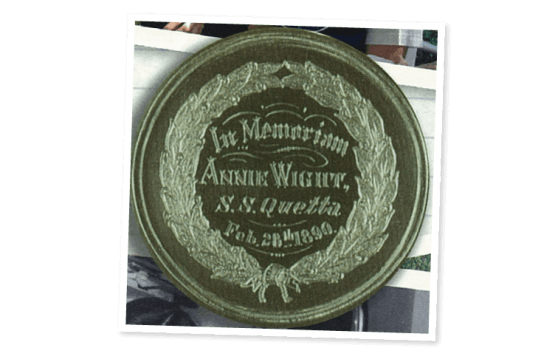 The Board of Trustees approved the Wight Memorial Medal for Music, which was first awarded in 1891, and has since been awarded every year to the student who performs best in a piece for piano. 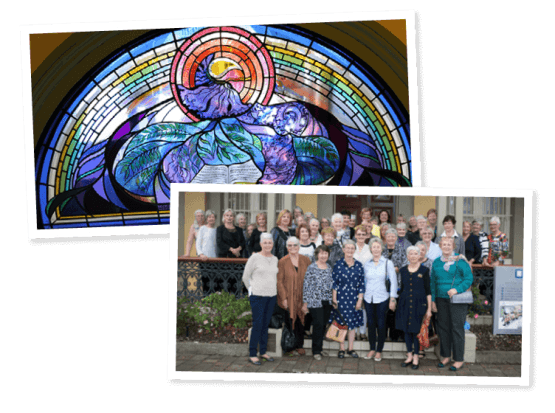 The Old Girls Association, established in 1899, continues to provide a valuable contribution to the Girls Grammar community. In 1904, the Old Girls Association presented an Honour Board to the School which was designated as, a Memorial to Mary Mackinlay erected by her pupils. The names of students who have attained academic distinction are inscribed on this board. These names include the School’s three Rhodes Scholars: Elizabeth Woods (1977); Elsina Wainwright (1994); and Caitlin Goss (2009). The School’s first magazine was published in 1913, but it did not re-appear until 1916. Much of the content was written by students. The magazine continues to be produced today. 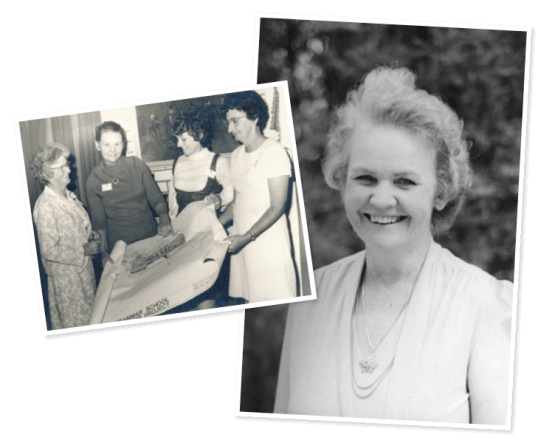 Miss Mackay was the first former student to become Headmistress of Brisbane Girls Grammar School. Her enduring reputation rests on the fact that she exemplified those traits that are still valued within the School community: compassion; courtesy; imagination; and commitment to the welfare and education of young women. After graduating in 1885 as Lady Lilley Gold Medallist, Miss Mackay returned to the School in January 1890 as an assistant mistress. 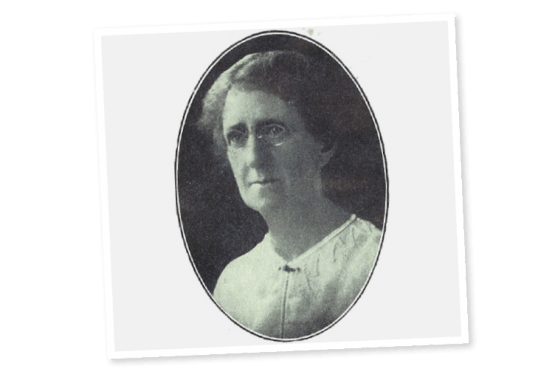 She was appointed Headmistress in September 1915. Miss Mackay was an outstanding leader, presiding over many innovations, unafraid to speak her mind, encouraging students to always achieve their personal best. She cultivated the ethos and culture established by her predecessors, which future generations recognise and understand as the Grammar spirit. Miss Mackay supported the School’s involvement within the community. For example, she insisted that the association with the Royal Children’s Hospital, begun in 1907, be continued. Therefore, every Monday morning, students brought one penny to help pay for a cot or toy. This commitment to Queensland Children’s Hospital continues today, albeit in a more sophisticated form. 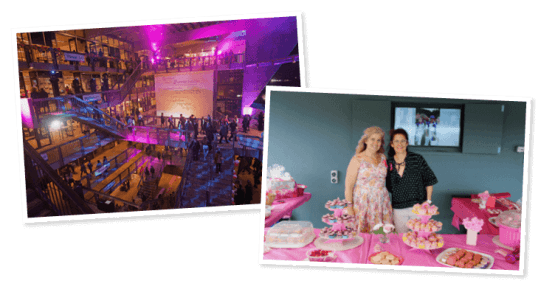 The School honours Miss Mackay’s lasting legacy in several ways. The Annie Mackay Room in the Main Building (also known as the Old Assembly Hall) is often referred to as the spiritual heart of the School, the Annie Mackay Bursary is awarded to First in Year 11 at Speech Day, and Mackay House, introduced in 1998, was named in her honour. Kathleen Mitford Lilley (1888-1975), grand-daughter of Sir Charles Lilley, was appointed to the position of Headmistress in 1925. A past student, Miss Lilley remained Headmistress until 1952, through the aftermath of WW1, the Great Depression and WW2, during which the School was closed for a short period of time due to dangers associated with the war. In terms of the daily dress, it was apparent early in Miss Mackay’s leadership that small changes were occurring so that more and more students were appearing in similar dress. The School has in its collection a very tiny badge from 1916 and photographic evidence shows that blazers were becoming more common. A hat, consisting of a white panama, royal blue under brim and a royal blue band with a badge embroidered at the front was also making an appearance. The stimulus for this change may have stemmed from seeing women in uniform during the war. 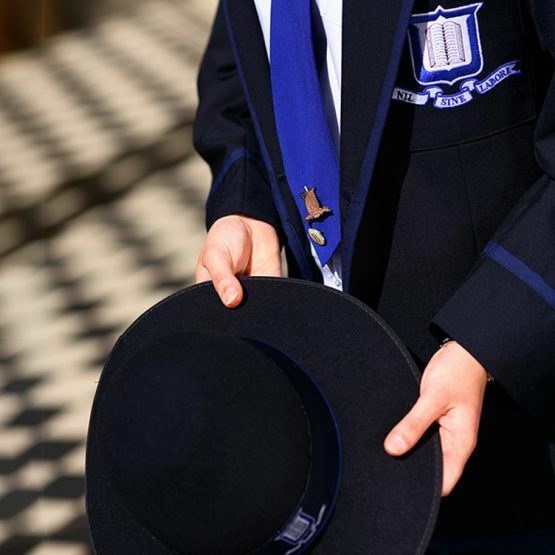 The School uniform, including the crisp white top and royal blue tie, was introduced for all students in 1925. In 1927, Miss Lilley oversaw the first stand-alone Speech Day; previously, they had been combined with Brisbane Grammar School. The East Wing, which housed the first specifically designed science laboratory, was officially opened by Governor Sir Leslie Wilson on 25 August 1933. Its construction entailed the removal of an old timber building containing four classrooms, and the loss of a tennis court. Two new courts were provided at the lower end of the School grounds. 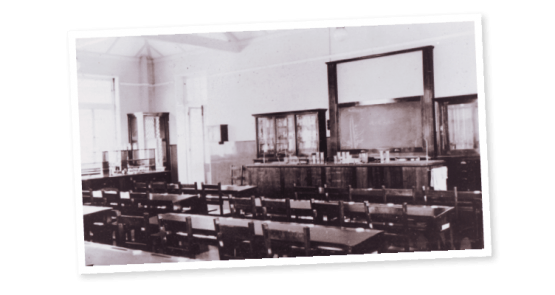 Additional laboratories were added in 1964 and the building was completely refurbished in 2003. The Parents and Friends Association was established, followed by the Mothers and Fathers Groups. The P&F Association arose from the groups that organised the Girls Grammar Fair (now Open Day) combining to host School Day, to which parents, friends, students and alumnae would be invited. Today, the P&F Association supports the School in numerous ways, including significant contributions to the the School’s Open Day. Educated at Brisbane Grammar School, Dr Hirschfeld won an open scholarship to The University of Queensland in 1924. He was Queensland’s Rhodes Scholar in 1927 and graduated in medicine in London in 1929 and obtained his M.A. with First Class Honours at Oxford in 1930. His return to Australia coincided with the outbreak of WW2. 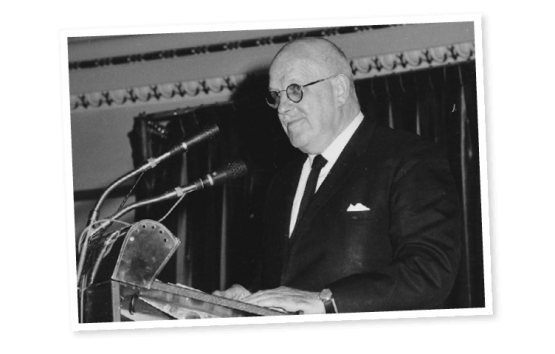 Dr Hirschfeld became a surgeon specialist in the Wartime Army, and in the years that followed enjoyed a long, illustrious and energetic career as a surgeon, lecturer and examiner. Dr Konrad Hirschfeld was appointed a Trustee of the School in 1947 and later Chair. The Hirschfeld association with the School did not end with his retirement. His daughter, Emeritus Professor Dr Mary Mahoney AO was Deputy Chair of the Board of Trustees for 12 years, and his grand-daughter Caitlin Goss became the School’s third Rhodes Scholar in 2009. Year 8 students commenced their secondary schooling and became known as Form II. In addition, the Headmistress, Mrs McDonald, introduced a new structure for co-curricular competitions—Houses. Since then, the history of Houses has been a somewhat chequered one. The system we know today took many years to evolve into one of the School’s most positive attributes. Initially in 1964, there were ten Houses. Five were named after Chairs of the Board of Trustees— Lilley, Griffith, Woolcock, Lockhart–Gibson (shortened eventually to Gibson) and England— and the remaining five honoured former Headmistresses—O’Connor, Mackinlay, Beanland, Wilkinson and Mackay. In 1966, the number of Houses reduced to five, all named for previous Chairs. 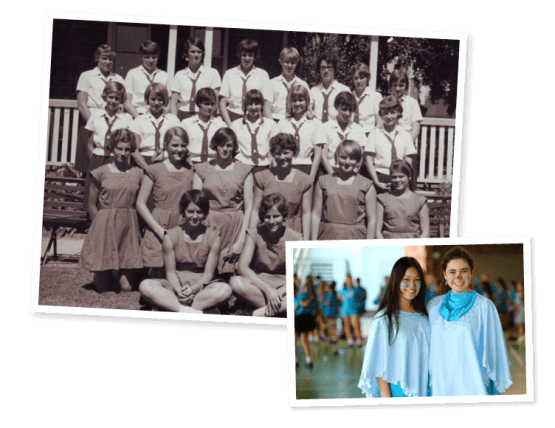 In 1980, a six-House system was formalised, and Hirschfeld House was added, and in 1990, as Houses became the way in which wellbeing of students was managed, a seventh House was added—O’Connor was reinstated. Beanland House was reinstated three years later, in 1993, and finally Mackay House returned in 1998, reflecting the current nine-House structure. Mrs Bain, past student of the School, was appointed to the Board of Trustees in 1968, the first woman to hold this position. Passionate about education, Mrs Bain was also appointed to the Governing Council of Griffith University, who awarded her an honorary doctorate in 1998. 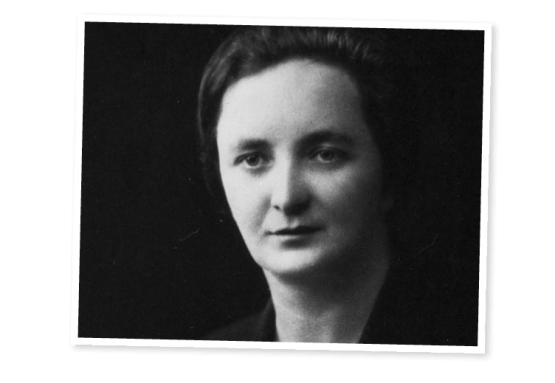 An advocate for women’s rights, Mrs Bain worked for decades in the Queensland and National Council of Women. Mrs Bain’s contributions to the School were honoured with the naming of the Bain Staff Centre in the School’s centenary year (1975). Mrs Bain passed away in May 2004. In 1975, the School celebrated its centenary year. On School Day 1975, the Bain Staff Centre and Beanland Memory Library opened, the culmination of the Centenary Building Program. The opening drew a large crowd, and the facilities were officially opened by then Governor of Queensland, Sir Colin Hannah. Mrs Judith Hancock started her distinguished career as Principal in 1977. 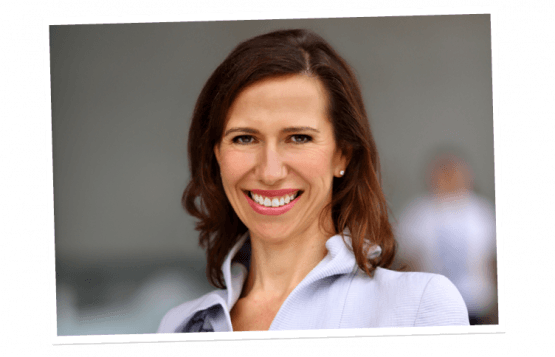 Her youth, energy and vitality connected with the Grammar community as she led the School through the challenges of the new social and legislative paradigms that were shaping Queensland education at that time. While she was keenly aware of the history of the School and graciously acknowledged the contributions of her predecessors, Judith Hancock encouraged and challenged her staff to be at the forefront of developments in curriculum, student care and the adoption of classroom technology in this State. As a result, this very modern principal, through her imaginative leadership and devotion to the education of young women, managed to retain academic rigour and the finest traditions of the School, while generating a sophisticated and stimulating environment for students and staff alike. Across her long appointment, Mrs Hancock was responsible for major developments in the physical fabric of the School—the Gehrmann Theatre was built, the Main Building renovated and the Hancock Communication Centre and McCrae Grassie Sports Centre opened. The establishment of the Memorial Outdoor Education Centre at Imbil and the extension of sporting, cultural and other co-curricular programmes reflected her belief in the importance of a holistic, balanced educational experience for the young women in her domain. Mrs Hancock was regarded by students with a mixture of awe and affection. Their sincere esteem for her was illustrated when, on the last school day prior to her retirement, the entire student body encircled the Main Building and performed the School War Cry as a farewell gesture. Outdoor education was introduced to Girls Grammar in 1978 by teachers passionate about the environment and the opportunities presented by the outdoors. 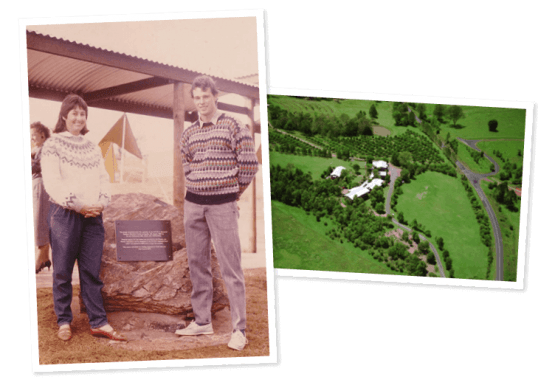 The following year, a tragic bus accident would lead to the establishment of what is now known as Marrapatta Memorial Outdoor Education Centre. The accident occurred at Christmas Creek in the foothills of the McPherson Ranges on 21 April 1979. On that day, 19 students and four adults were travelling by bus on an outdoor education expedition led by staff member, Mr John Stamford. As the bus travelled slowly along the country road, a section of the roadway collapsed under its rear passenger wheels and it rolled several times down a steep slope. Mr Stamford, his wife Janelle and two Year 10 students, Helen Gahan and Jillian Skaines, were thrown out of the bus and killed, while the dazed and injured—some seriously hurt—were scattered down the hillside. Only six passengers were in any condition to climb back to the road and seek help from a property some two kilometres distant. This terrible event had a profound impact on all who were associated with the School—girls, staff, parents and even the wider community. Principal, Mrs Hancock, remained determined to provide a breadth of educational experiences that included a vibrant outdoor education program. 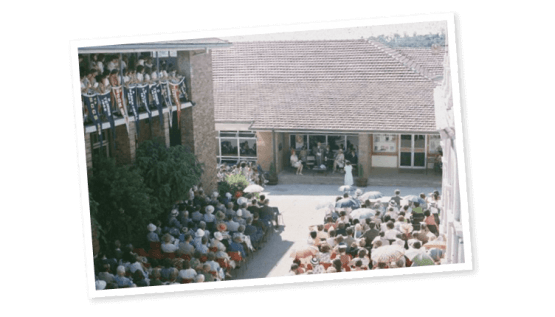 On Sunday 9 August 1987, the Memorial Outdoor Education Centre at Imbil was officially opened by Dr A S Gehrmann, Chair of the Board of Trustees. Mr Tim and Mrs Sue Lanham were appointed the first Directors. Over the years, the centre has developed significantly, made possible through the generous contributions of the School community. 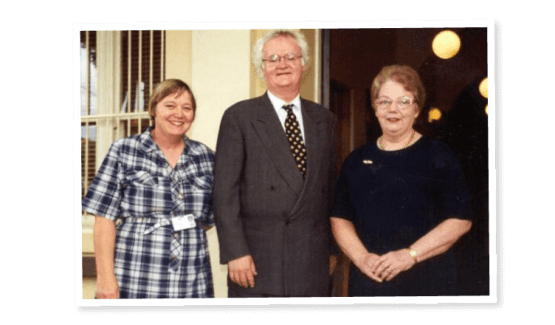 In 2003, Mr James and Mrs Carol McIntosh joined the School as Directors of Marrapatta. The centre was renamed Marrapatta Memorial Outdoor Education Centre in 2005; Marrapatta is taken from the School’s War Cry. 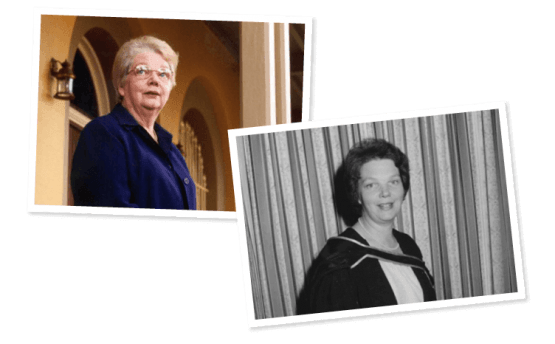 Dr Cherrell Hirst was the first woman Chair of the Board of Trustees, appointed in 1996. 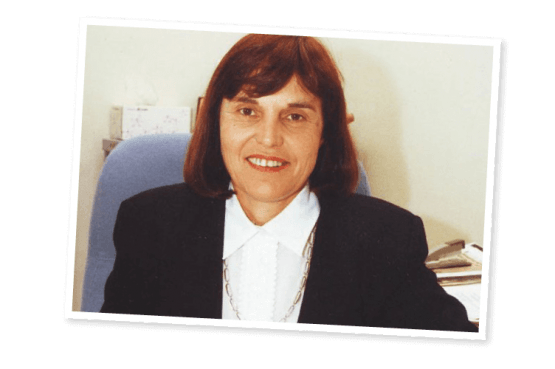 A past student (1963), Dr Hirst has contributed significantly to medicine in Australia, namely in the fields of breast cancer screening, as the Director of Wesley Breast Clinic and biotechnology, through her role as CEO of QIC BioVentures. Dr Hirst has received three honorary doctorates, an Australian Government Centenary Medal and is an Officer of the Order of Australia. Judith Hancock, as part of the School’s 125th anniversary celebrations, commissioned the writing of a School Song. The lyricist, Svyetlana Hadgraft, was a member of the School’s English Department. Her brief from the Principal seemed almost impossible. She was to make reference to the past, present and future, demonstrate an awareness of the School’s traditions, include the two blue colours of the School, reflecting Oxford and Cambridge, use the motto—preferably in the chorus—and ensure the song, Nil Sine Labore, was modern, yet timeless. The selected composer, Richard Gill OAM was an inspired choice as his musical reputation and practice was prodigious and far-reaching both nationally and internationally. His brief, from Mrs Hancock, was to capture the youthful spirit of the students, enabling them to sing the song on a variety of occasions. 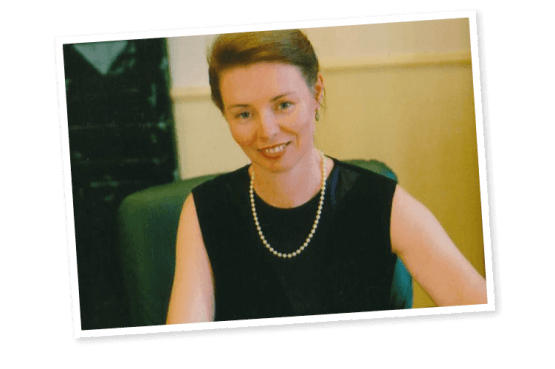 Dr Amanda Bell was appointed Principal of Girls Grammar in January 2002. Dr Bell was passionate about the visual arts, women’s leadership and a liberal education model. In her first year as Principal, Dr Bell oversaw the closing of the Boarding House, the end of a much-loved tradition at the School. In 2007, the Cherrell Hirst Creative Learning Centre was opened, honouring past Chair of the Board of Trustees, Dr Cherrell Hirst. With a total floor space of more than 8900 square metres and an entire level devoted to a new cafe, refectory, art gallery and outdoor terraces, the Centre transformed the School campus. The landmark building was embraced by staff and students alike, with the entire School community benefiting from the increased space and optimum teaching and learning facilities. Ms Elizabeth Jameson, a passionate advocate of a broad, liberal education, was a past student (1978-1982) and former Head Girl. Serving on the Board of Trustees since 1995, Ms Jameson was appointed Chair in 2006. During her time as Chair, the Board has overseen many major developments including the purchase of Rangakarra Recreational and Environmental Education Centre (2013), opening of the Research Learning Centre (2015) and establishment of the Brisbane Girls Grammar School Bursary (2017). The Board’s introduction of a means-tested Bursary, reflecting the generosity of spirit and contribution to community on which the School is founded, was an achievement of which Ms Jameson was particularly proud. 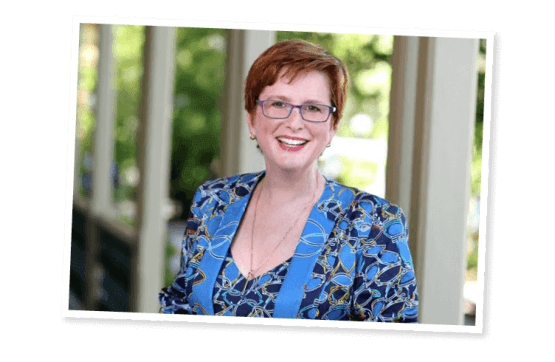 Ms Jacinda Euler commenced as Principal of Brisbane Girls Grammar School in April 2013. An experienced educator, Ms Euler previously taught at Girls Grammar from 2000 to 2007 teaching History and holding senior positions including Head of Gibson House. Under Ms Euler’s leadership, the School unveiled its newly acquired 13-hectare site in Fig Tree Pocket, the Rangakarra Recreational and Environmental Education Centre in 2013, and opened the Research Learning Centre in 2015. The five-storey, $17.4 million Research Learning Centre is home to a rich library collection of more than 55 000 resources and provides numerous flexible contemporary learning spaces as well as quiet space for contemplative study. Spiral staircases connect different levels of the five-storey building and lead students to explore and experience the learning space in new ways each visit. Year 7 was also introduced to the School in 2015. The Dorothy Hill Observatory is an extraordinary learning asset. 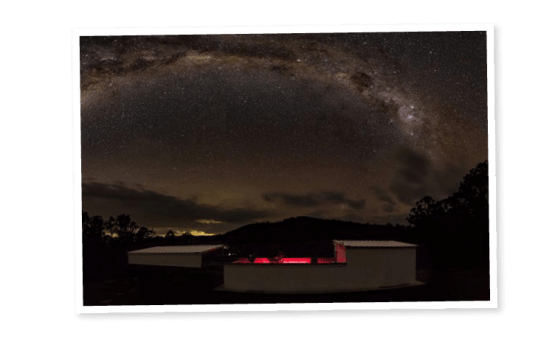 Located at the Marrapatta Memorial Outdoor Education Centre, the Observatory houses three robotic telescopes, which can be operated remotely from anywhere in the world, in addition to a manually controlled telescope. The Dorothy Hill Observatory honours the significant contributions of past student, Professor Dorothy Hill (1924) to science in Australia and advances her ambition to deepen the impact of women as scientists, innovators and leaders.